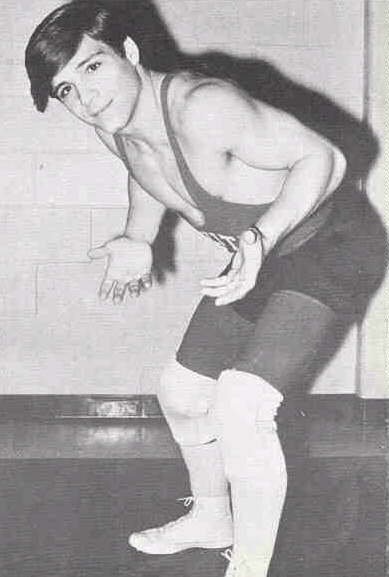 TOP: Mike Rubino works to set his opponent on his back. 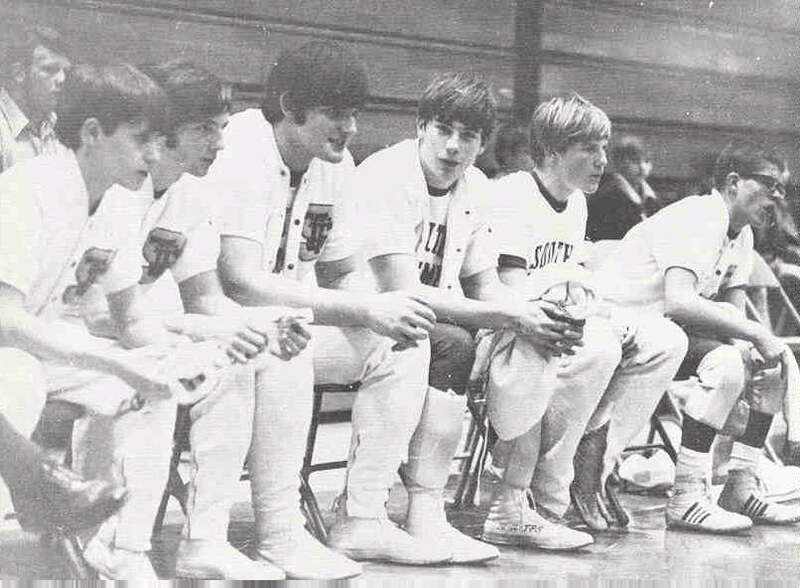 CENTER LEFT: Rebel grapplers watch a fellow matman during a home meet. BOTTOM LEFT: Gary Jensen works for the pin in the late minutes of the third period. 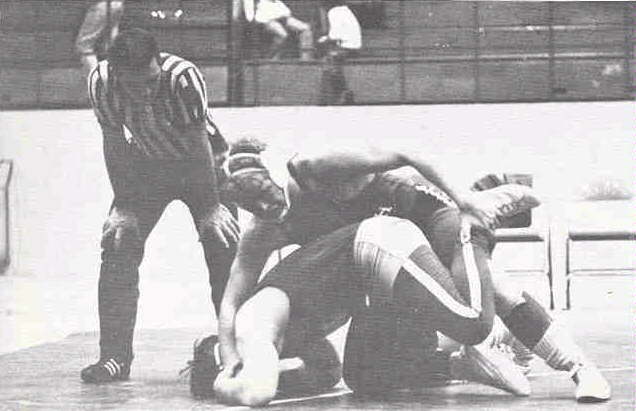 BOTTOM RIGHT: Steve McGilvery moves into position for a takedown.